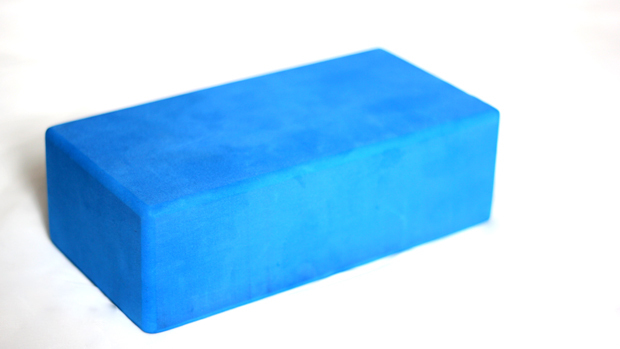 Introducing… the Yoga brick. This is so basic and straight-forward – it’s a no brainer. If you’re just starting out with Yoga, you’ll soon find out – all that stretching isn’t as easy as it first looks! This is where the yoga brick comes in. It’s made of a hi-density foam which makes it both very stable and also very light weight. The brick can be used during most yoga positions, especially the stretches where you are reaching for the floor. To begin with your flexibility will be quite limited, and often you may not be able to touch the ground with your hands. So instead place the brick under your hand to provide the stability you need to perform the stretch. The brick can be used on all three sides, to provide different lengths, so as your flexibility increases, you can change the brick’s position, so it offers less assistance. You can find the Yoga bricks available at a good price on Amazon.